Raised in Atlanta, Georgia, Molly Rose is the child of a musical family. Her father is a classically trained musician, her mother sings the blues, and her grandfather was a minister: the perfect combination for raising a performer. Growing up, family gatherings would often feature a musical jam, where everyone would sing and play an instrument. Early on, her grandfather’s small church exposed her to a large amount of singing and performing in front of people, as well. As a young child, Molly always had a little tune to sing, whether it was practicing imitating her favorite singers or simply coming up with her own. Her abilities developed once she discovered the Linda Ronstadt, Dolly Parton and Emmylou Harris fronted group, Trio. Molly was impressed by Ronstadt’s clarity and emotional style of singing and she began to mimic what she heard. That led her to the early development of her subtle, yet powerful sound and ability to hear and sing harmonies off-the-cuff. A compliment to Molly’s Linda Ronstadt influence was Bonnie Raitt. As she began to discover the blues, Raitt’s music became a regular staple on the playlist because of the emotional vocal style, backed by the slide guitar. At this point, Molly realized that good singing was not about perfection: it was about the emotion coming through the voice(s) in the song. At 17 and a freshman in college, she heard singer-songwriter Gillian Welch and fell in love with her “rootsy” and seemingly simplistic sound. Molly has incorporated that into her music ever since. With a number of substantial writing credits to her names, she didn’t record her first song, Molly’s New Blues, until she was 21. Her songs are introspective and the heartfelt, personal nature of her writing tends to prolong the writing process as she works on several timeless songs at once. Molly’s first experience with the guitar was on her mother’s classical guitar at the age of 14. She resisted playing seriously for many years, just learning a few chords here and there to sing songs with friends. But, when her father gave her a guitar for her 18th birthday, it was a natural fit and she dug right in. The time coincided with her move to college and she learned to play with the help of new friends she met there. Many late nights were spent by bonfires in the woods, near a small pond with a great view of the stars, or in a dorm stairwell, where Molly could be found learning to pick out a tune on her guitar and harmonizing with other singers. During this time, she built her stage presence and gained the confidence to step in the lime light. Her time at Warren Wilson College brought about the formation of the well-known group, the Barrel House Mamas. This band was formed with, among others, Eleanor Underhill. The group garnered a wealth of success and they appeared in states throughout the southeast. The band impressed many audiences, from festival-goers to Fox television executives. After the band folded, Eleanor and Molly maintained their harmonious relationship and created Underhill Rose. Since forming in 2009, Underhill Rose has appeared throughout the Southeast with special appearances at Floyfest and Merlefest. Their first album was released in May of 2011, featuring many notable songs from Molly, including 2000 Miles and the heart-wrenching track, Bridge. With their second release in 2013, Something Real, Molly had written the sweet love song, Little House, the timeless Drives Me to Drinking, and even some tin-pan alley blues with The End of 27. All of these songs can be heard on radio stations across the country and on Pandora radio. 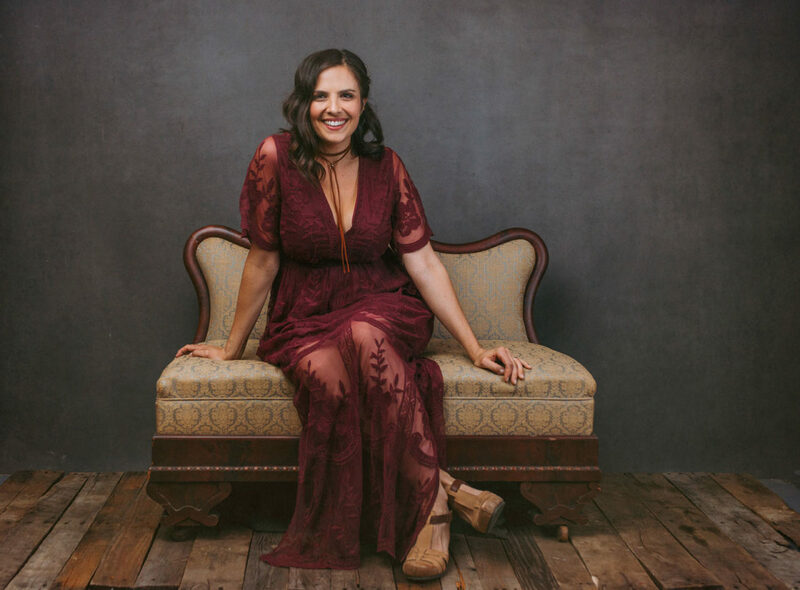 As her star has risen in the music business, Molly Rose has continued to stay true to herself, while utilizing her talents to impress audiences throughout the Southeast. Her development as an artist has solidified her confidence as a stage performer, singer, songwriter, band member, and guitar player. When Molly is not performing with Underhill Rose, she appears as a solo performer. She is also an extensive traveler and prefers to seeks out locations where English is a secondary language. If she can’t hop on a plane, you can usually find her in the nearest library, hunting new and old music, in her art studio carving wood blocks for prints, or tending to her vegetable and herb garden. If you ever get the chance to try her pickled okra, you are a lucky person! Her woodcut prints are featured in the album artwork for Something Real and the t-shirt and sticker designs for Underhill Rose. She has a patchwork family of 5 brothers and a sister and is very happy to be involved in the lives of her nieces.